If we were to capture both Raleigh’s and Triangle Wine Experience’s zeitgeist, Ashley Christensen’s picture would in the center of everything else. 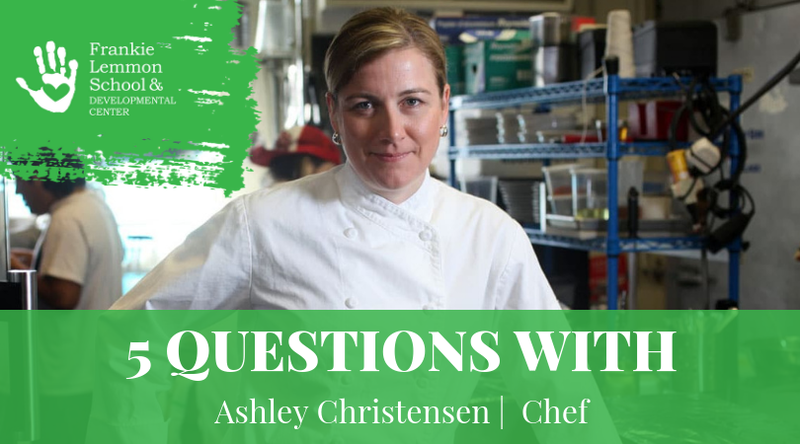 No individual has done more to impact and elevate the NC culinary scene than Ashley. What’s remarkable is she has ALWAYS been the kindest person and such an incredible ambassador for our state while running her restaurant empire. What Ashley has done for Triangle Wine Experience and the children of Frankie Lemmon School simply can’t be done by one person. It just can’t; and yet, Ashley does it. She commits her time, talent and resources to making our event the tremendous success it is. We love you Ashley! My go-to right now is a Moscow Mule, because they are consistently good whether you’re in an airport bar or a craft cocktail bar. I also love a cortado, a glass of good Champagne, and half-cut (that’s half sweet, half unsweet) iced tea from Bojangles. 2. Best place for breakfast? I have an appreciation for both, but the beach wins out. I love the North Carolina coast, particularly Wrightsville Beach because I have been going there for decades and have so many great memories. 4. Favorite mantra or words to live by? I first got involved through doing one of the Thursday night wine dinners at a restaurant I used to cook at, Enoteca Vin. Then one year, Eliza approached me about being part of an auction item for a private dinner at her home. It made me realize how much of an impact the culinary community could make in terms of fundraising for important causes like Frankie Lemmon, and really opened my eyes to the opportunity I had to give back on a greater scale.